It’s been a great five weeks celebrating 15 years! Below is a summary of the winners in week 5, we will be starting to ship prizes this week. If your name is below, and you have not claimed your prize, please do so! Today, we kick off another great giveaway! Donated by Regal Robot we have a Special Edition Pewter Mandalorian Skull Mini Sculpture! 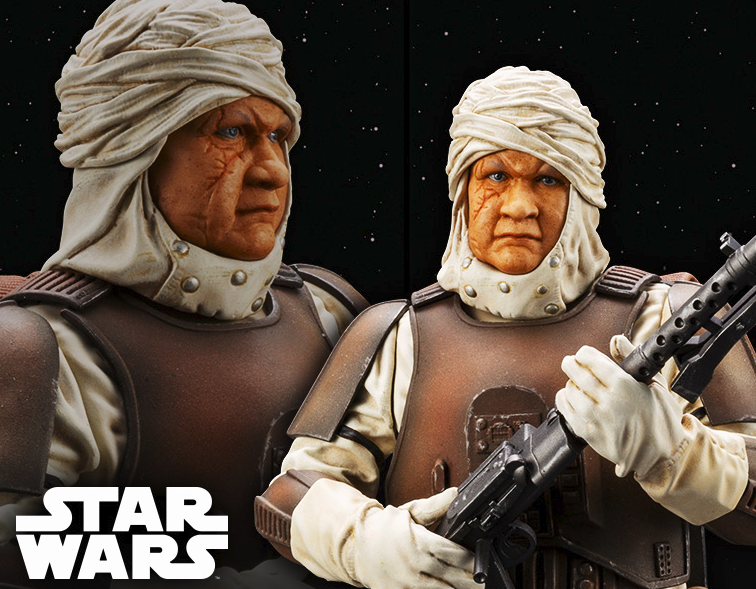 Click here to check out this out and tons of other cool and unique items from our friends at Regal Robot! Want to add this to your collection? 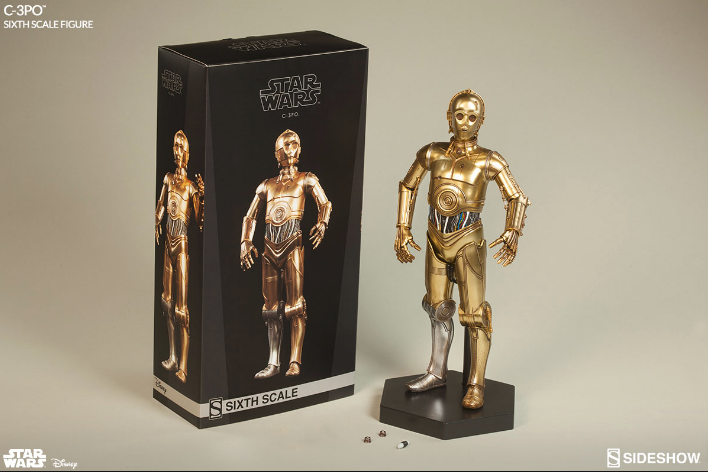 Just send us an e-mail to YodasnewsAnniversary@gmail.com with the subject “Happy 15 Year – Pewter Mandalorian Skull Mini Sculpture” and we will pick one person at random on or around 3/8/2019 to take home the prize! This giveaway is open in the USA and Canada only! You MUST include your full name and mailing address for the prize in the email for it to count. You may enter once per 24 hours from 3/6/2019 to 3/7/2019 11:59EST. Congrats to Kyle Z from CA on winning a 2019 Membership Kit to Rancho Obi-Wan which includes a T-Shirt! Check your inbox for your certificate and how to re-deem it! YN 15 YEAR – Winner Round Up! It’s been a great month celebrating 15 years! Below is a summary of the winners in week 4, we still have items and gift cards to give away so we will be extending the celebration to the first week of March. If your name is below, and you have not claimed your prize, please do so! 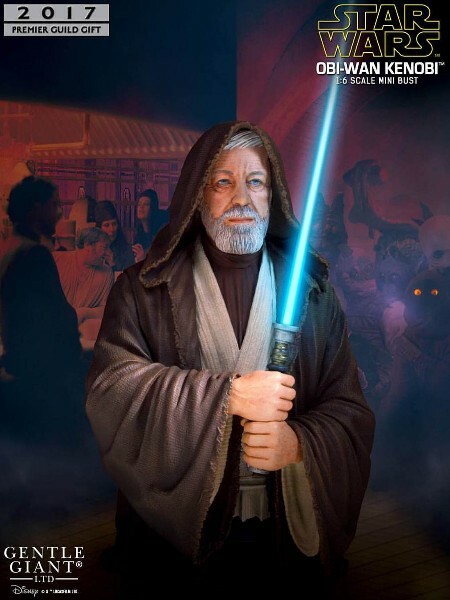 Want to win a 2019 Membership Kit to Rancho Obi-Wan which includes a T-Shirt? 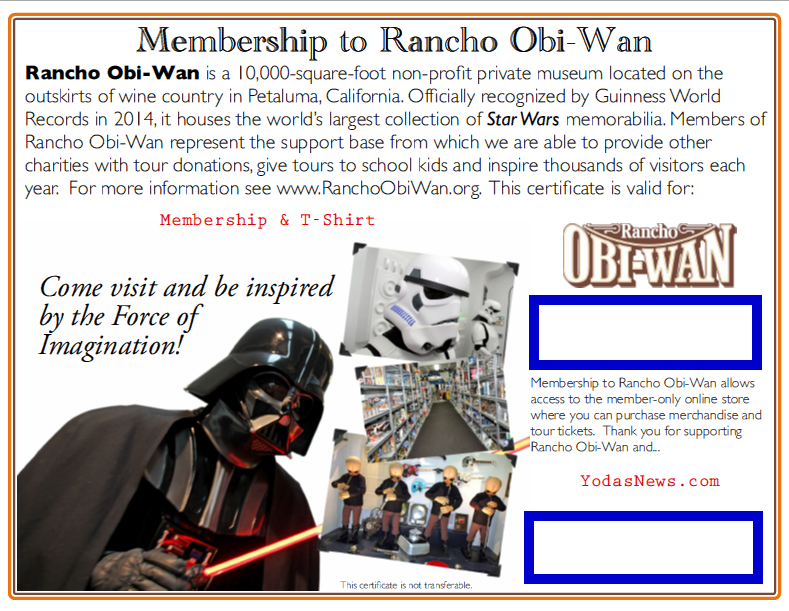 Just send us an e-mail to YodasnewsAnniversary@gmail.com with the subject “Rancho Obi-Wan 2019” and one lucky person will win a 2019 Membership Kit to Rancho Obi-Wan, located in Petaluma, CA, about an hour north of San Francisco! YN 15 YEAR – Week 3 Round Up! It’s been a great third week celebrating 15 years! Below is a summary of the winners in week 3 and open giveaways right now, we still have a ton to give away so we will be extending the celebration to the first week of March as well, we will be doing 1-2 giveaways a day! If your name is below, and you have not claimed your prize, please do so! └ Tags: YN 15 YEAR – Week 3 Round Up! YN 15 YEAR Giveaway #12 – Joe Corroney Art Prints! └ Tags: YN 15 YEAR Giveaway #12 – Joe Corroney Art Prints! Today, we kick off our tenth of many giveaways! 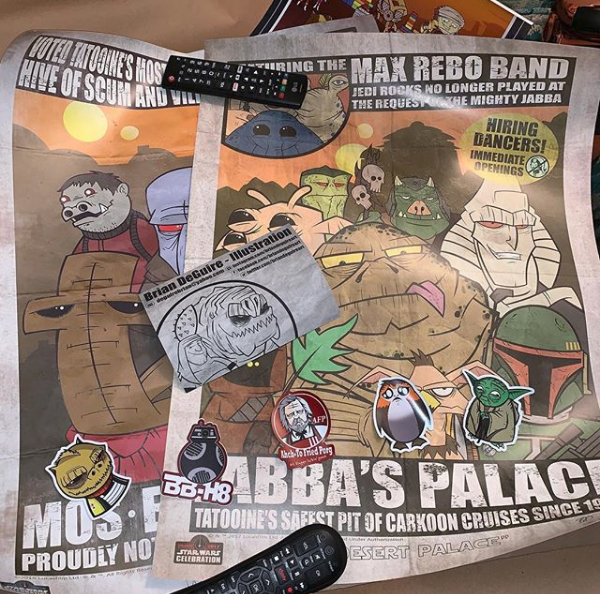 Donated by Brian DeGuire by we have a great prize pack featuring 2 Star Wars Celebration Exclusive Art Prints as well stickers and magnets! 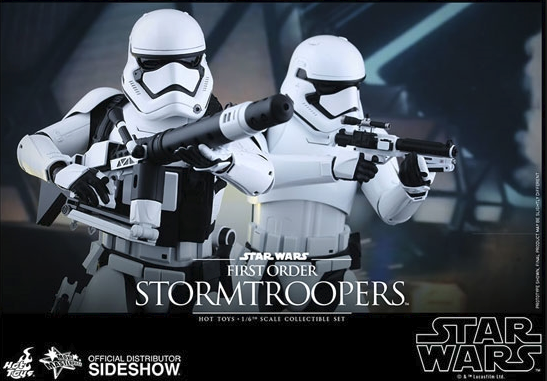 Want to add these to your collection? 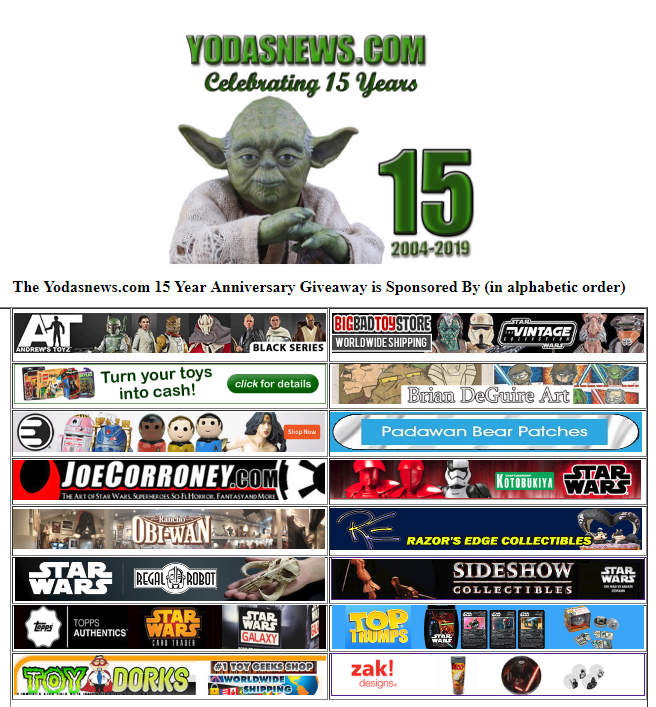 Just send us an e-mail to YodasnewsAnniversary@gmail.com with the subject “Happy 15 Year – Brian DeGuire Art Prize Pack ” and we will pick one person at random on 2/22/2019 to take home the prize! This giveaway is open WorldWide! You MUST include your full name and mailing address for the prize in the email for it to count. You may enter once per 24 hours from 2/19/2019 to 2/21/2019 11:59EST. YN 15 YEAR – Week 2 Round Up! It’s been a great second week celebrating 15 years! Below is a summary of the winners in week 2, we still have a ton to give away and now that we are back from Toy Fair, we will be doing 1-2 giveaways a day starting tomorrow! If your name is below, and you have not claimed your prize, please do so!